Jason Trinity Holden is an experienced trial attorney with ten years of experience in labor/employment law, oil and gas litigation, insurance and commercial litigation, criminal law and family law. Jason has tried numerous civil and criminal jury and bench trials in front of the Montana Federal and State district courts. Jason has also tried numerous cases in front of Montana administrative agencies and arbitrators. In 2006 Jason became a shareholder in the law firm of Faure Holden Attorneys at Law, P.C. where he practices with Jean E. Faure and Kristen G. Juras (of Counsel). Ms. Faure is an AV rated trial attorney with 20 years experience in labor/employment law, education/school law, products and premises liability litigation and commercial litigation. Ms. Juras is an AV rated transactional attorney and serves as of Counsel to the Firm while she teaches at the University of Montana School of Law. Jason received his Bachelor of Arts degree, with high honors, from the University of Montana where he majored in Political Science and graduated from the Davidson Honors College as a University Scholor. Jason received his J.D., with honors, from the University of Montana School of Law. During law school Jason served as a member and co-conference coordinator for the Public Land and Resources Law Review and received the Norman Hanson Legal Writing Award in Appellate Advocacy. Jason is an accomplished scholar having published an article on the United States Supreme Court case of City of Monterey v. Del Monte Dunes at Monterey, Ltd., 526 U.S. 687 (1999). See, Paving a Road, Reaffirming a Roadblock, 21 Pub L.R.LR 145 (2000). Following law school Jason worked as an associate in the law firm of Church, Harris, Johnson & Williams, P.C. from 2001-2003 and 2004-2006. He served as an Assistant Federal Defender with the Federal Defenders of Montana, Inc. from 2003 through 2004 where he emphasized his trial and appellate Federal criminal defense practice. 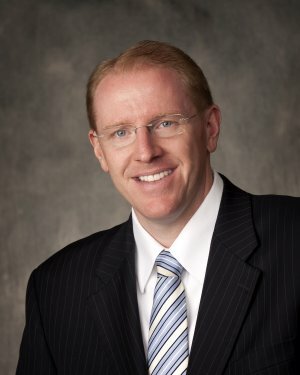 Jason currently serves as Trustee for the Board of Trustees for the State Bar of Montana. Jason is a former member of the Board of Directors for the New Lawyers Section of the Montana State Bar Association and served as the Section’s President in 2003-2004. Jason is currently an Officer for the Montana Association of Criminal Defense Lawyers. In 2007 Jason was recognized as one of the finest trial attorneys in the State of Montana. Jason was the co-recipient of the Criminal Defense Trial Lawyer of the Year in 2007 from the Montana Criminal Defense Trial Lawyers Association. In 2010 and 2011 Jason was selected for inclusion in the Mountain States Rising Stars featuring the outstanding young lawyers in the State of Montana. The Rising Stars and Super Lawyers lists appear in Mountain States Super Lawyers magazine.